Sandy blond hair and Hollywood good looks, Carter Billings could have any woman he wants. However, when he makes his bid for the Governor's seat in the state of California, he needs to settle down and become a family man. Eliza, the woman he secretly adores, embodies the perfect amount of spice and passion to suit his marital needs, but she’s not interested in becoming Mrs. Billings. She can't even stand to be in the same room with him. “Problems you helped play a role in.” He saw the spark in her eye before she managed her first syllable of defense. “A little bit of cooperation. Marriage is a tad more than a little bit of anything.” Her voice rose and her knuckles started to grip the counter. “Yet you earn your living arranging marriages or partnerships on trite reasons less important than mine.” How dare she follow a moral high ground. Maybe she’d forgotten how well versed he was on her and Samantha’s business. Her cheeks grew rosy which he had to admit was a much better than the pasty color she’d been sporting when he walked into the house. He felt the fire burning inside her as she shot daggers with her eyes. 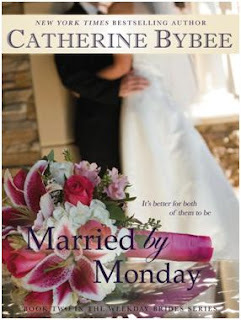 About the author: Author of New York Times Bestseller, Wife by Wednesday presents, Book Two in the Weekday Bride Series New York Times, USA Today and Wall Street Journal Bestselling Author Catherine Bybee has been addicted to romance since her teens. 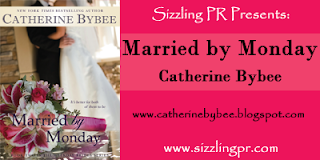 After spending a decade of her life working as an RN in urban emergency rooms, Catherine is now dedicated to writing happily-ever-afters for the world to love. Catherine is married and raising two sons in Southern California.